But how to record all this blast-from-the-past, inspired-by-history gear? 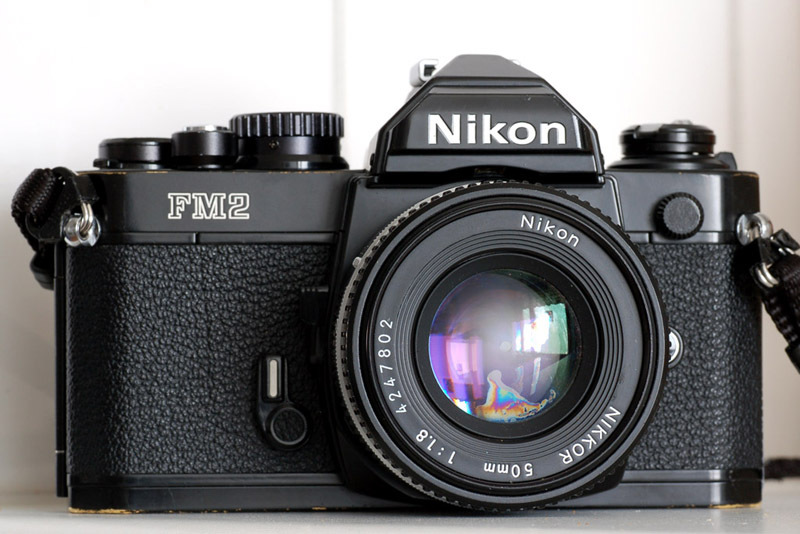 Well, let me introduce you to retro term number 370, the Nikon Df. Yesterday, Nikon introduced a new digital SLR body styled after the old-school Nikon F-series of cameras. With classic looks and even a special 50mm 1.8 lens (sold separately) to match the aesthetic, the Df brings back some memories to this once-pro photog. The Nikon F-series of cameras were some of the photojournalists’ workhorses of the old-school film days (read: late 1970’s through about 2000). The FM2 was the first pro body I shot at my college paper. My last film body was a bomb-proof F4. Well, the $2,746.95 Nikon Df (available for pre-order now with expected delivery around the end of November) is an obviously digital version with old-school F styling and the guts of Nikon’s flagship D4, a big gun 16-megapixel machine used and trusted by news-shooters the world over that costs a wallet-sapping $6,000. But this is no D4. The Nikon Df, as cool looking as it is, is not meant to compete with the super fast professional D4, the huge-sensored d800, or the magically sensitive d600 pro-sumer camera. What it does do is fill a niche for portrait and landscape photographers and those who put a premium on light weight and manual controls. This will be a popular camera for more than its looks alone. But let’s get back to the guts. 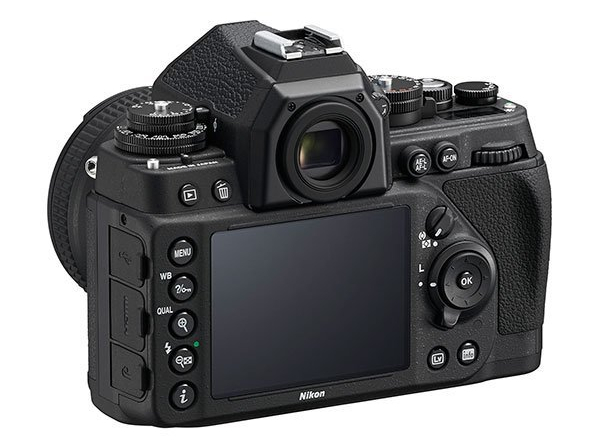 The Df is a Nikon FX-format digital SLR camera. It has the same FX-format CMOS sensor, effective pixel count (16.2 million), and EXPEED 3 image-processing engine as the D4. It shoots from ISO 100 to 12,800 (a major improvement from the films of the 90s! ), and it can boost down to ISO 50 and up to — wait for it — 204,800. You are now free to commence no-light photography. 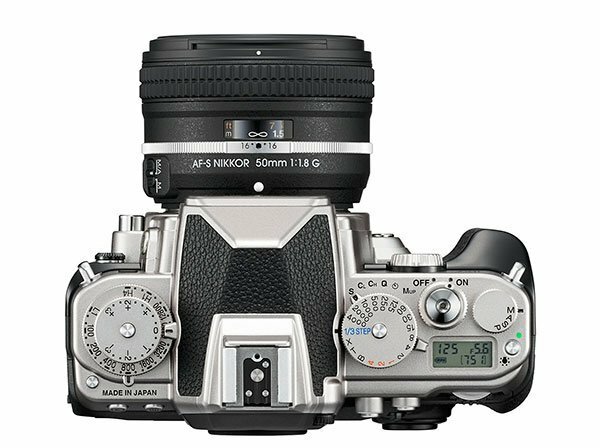 Like its old-school appearance would insinuate, controls are manual dials on the top of the camera that work whether the camera is on or off. This is pretty awesome as it reduces the need to fiddle with menus or press multiple buttons to make fluid changes to shutter speed and other standard settings. The Df is also smaller and lighter than any other Nikon FX format camera, weighing in at 710 grams without a lens. For hikers and climbers this should raise some eyebrows, although for truly light weight there are better point-and-shoot solutions. The body is built of light and durable magnesium alloy for the top, back, and bottom covers. All parts of the camera are sealed for a level of dust- and water-resistance equivalent to that of D800-series cameras, which means a light rain should be no problem with proper precautions. The technical details go on — 39 focus points, scene recognition, live view functions, quick response and shooting rates up to 5.5 frames per second. It works with all modern Nikon AI lenses and — for the first time in recent history — it also works with non-AI lenses for a truly retro touch. If this all sounds too good to be true, well, there’s a catch. The camera doesn’t shoot video. Shock. Guess you’ll have to grab the next 16mm retro-designed video camera to fill in that roll when it comes along, probably next spring.